Lightsource BP has expanded its footprint in the private-wire solar space with the completion of a new project in Northern Ireland. 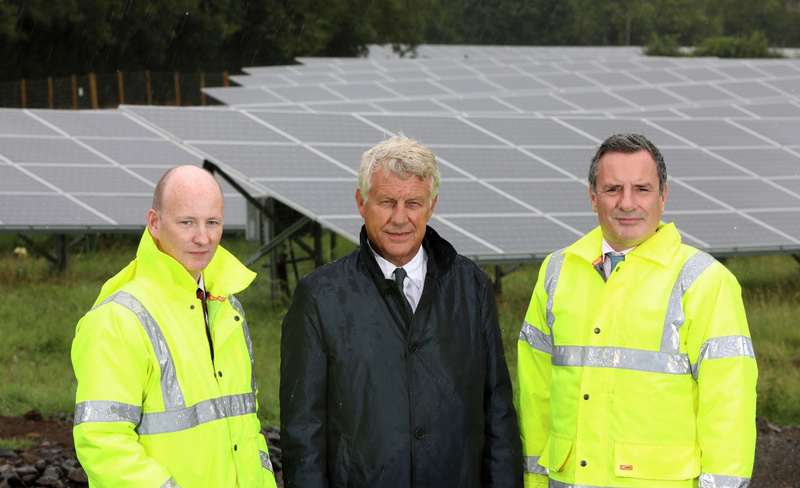 Lightsource BP financed, developed and now operates a 6.42MWp utility-scale solar farm at Gibson Farm in Mallusk, Newtownabbey, which provides power to plastics specialist Brett Martin’s manufacturing facility via a direct wire. The project is expected to provide around 14% of the facility’s annual power demand which, when combined with an existing onsite wind turbine, will ensure the firm derives around one-quarter of its power from renewable sources. Laurence Martin, managing director at Brett Martin, explained that the company’s core activity – processing plastics – was particularly energy intensive and, given Northern Ireland’s high energy costs, renewed importance was being placed on reducing that cost. “The partnership with Lightsource now more than doubles our renewable footprint and also highlights our commitment to environmentally sensitive manufacturing practice. We are very grateful to the many local interest groups, statutory bodies and government agencies who provided help and assistance to both Lightsource and ourselves as we progressed the project to completion,” he said. Nick Boyle, chief executive at Lightsource BP, said that the private-wire PPA would provide Brett Martin with a “long-term hedging strategy” against rising costs and volatility in the energy market. “We’re proud to be working with corporations both locally and internationally to cut costs and increase price visibility, as well as to accelerate the global low-carbon transition,” Boyle added. Lightsource BP has previously completed similar private-wire PPA projects for the likes of Belfast International Airport, Bentley Motors and Thames Water.